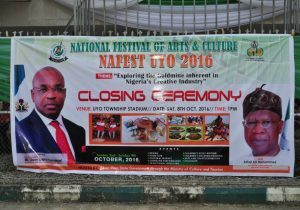 The 29th edition of the National Festival of Arts and Culture (NAFEST) 2016 with the theme “Exploring the Goldmine inherent in Nigeria’s Creative Industries” was held in Uyo, Akwa Ibom State from Sunday 2nd to Sunday 9th October, 2016. 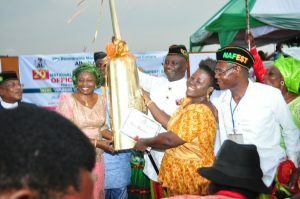 NAFEST is an annual festival designed to serve as a veritable index for cultural exchange; promoting peace and unity, as well as serving as a platform for engineering creativity, job creation and economic empowerment. 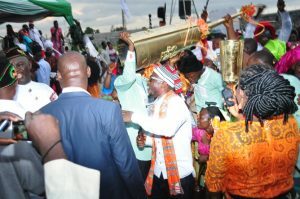 The week-long festival was declared open by His Excellency, Emmanuel Udom, the Executive Governor of Akwa Ibom State ably represented by His Excellency, Moses Frank Ekpo the Deputy Governor of Akwa Ibom State on Tuesday, 4th October 2016 at 5:00pm. Drawing contingents from all across Nigeria, the Cultural fiesta served as a platform for the exhibition and exploration of the rich potentials that abound in Nigeria’s Creative Industries towards the diversification efforts of Mr. 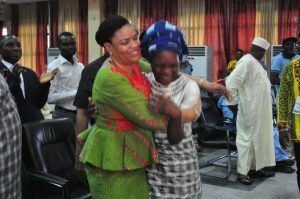 Present, as well as provided a unifying link for the diverse ethnic groups in the country as evidenced in the transactions, friendliness and atmosphere of conviviality that was at play during the one-week event. 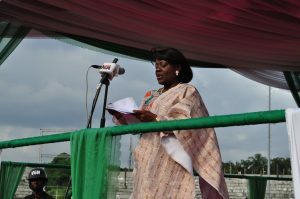 Mrs. Ayotunde Adesugba, Permanent Secretary, Federal Ministry of Information and Culture delivering the Minister’s Speech at the Official Opening Ceremony of NAFEST 2016 held on Tuesday 4th October, 2016 at Uyo Township Stadium, Akwa Ibom State. NAFEST 2016 had participation from seventeen (17) States and the FCT viz: Bauchi, Bayelsa, Benue, Delta, Ebonyi, FCT, Kaduna, Katsina, Kano, Kebbi, Kwara, Lagos, Niger, Ogun, Rivers, Sokoto, Taraba, and Akwa Ibom. Also in attendance were the supervising Ministry and its Parastatals, the Media, Non-Governmental Organizations, Schools, various Artistic and Cultural Groups, Guilds and relevant associations making a total of over Ten Thousand Nine Hundred and One (10,901) participants and spectators for the duration of the week-long fiesta and a total of over Twenty Thousand (20,000) entries at the festival. The events of NAFEST 2016 included: Indigenous Poetry Performance Competition, Children’s Essay Writing Competition, Children’s Drawing/ Painting Competition, Drama Performance, Arts and Crafts Exhibition Traditional Wrestling (Intermediate Category 40kg-50kg), Traditional Cuisine Competition, Command Performance, Official Opening Ceremony, Culture Round Table/NAFEST 2016 Colloquium, Cultural Market, and the Official Closing Ceremony. There was an organized tour for state contingents. In line with Council’s policy of recognizing and rewarding excellence, certificates of participation were given to all the participating states and the FCT. 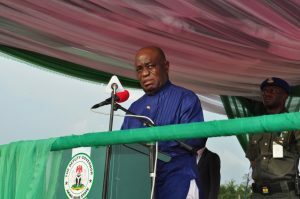 Other participants were the neighbouring African countries: Ghana, Mali, and Cote D’Ivoire. 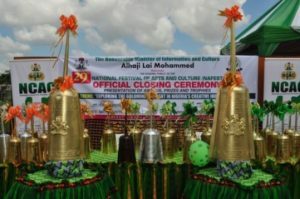 Minister’s Golden Gong: Sokoto State. Most Improved State: Kebbi State. Most Consistent State at NAFEST 2016: Taraba, Benue and Kwara States. Most Innovative State in Packaging: Kaduna State. 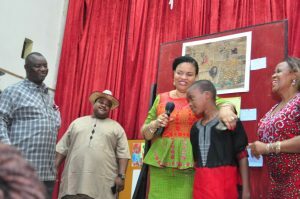 His Excellency, Mr. Moses Frank Ekpo, Deputy Governor Akwa Ibom State; Mrs. Ayotunde Adesugba, Permanent Secretary, Federal Ministry of Information and Culture; Mrs. Dayo Keshi, Director General National Council for Arts and Culture; Mr. Akin Adejuwon, Artistic Director, National Troupe of Nigeria; Hon. 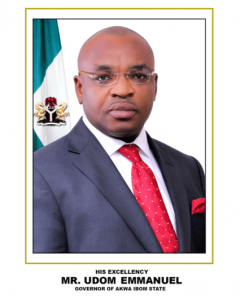 Otuekong Ibiok, Honourable Commissioner, Ministry of Culture and Tourism, Akwa Ibom State; Elder Barrister Offiong Udofi Udoffe, Permanent Secretary, Ministry of Culture and Tourism Akwa Ibom State; Dr. Iniobong Ene Essien, Honourable Commissioner of Environment and Mineral Resources Akwa Ibom State; Dr. 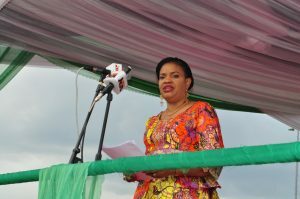 Glory Emmanuel Edet, Honourable Commissioner of Women Affairs and Social Welfare; as well as Members of the Akwa Ibom State House of Representatives, Honourable Commissioners, Permanent Secretaries, Director Generals, Directors from the participating States and the FCT, Professor Ben Ekanem; Traditional Rulers, and many other Stakeholders in the Arts and Culture Industry. 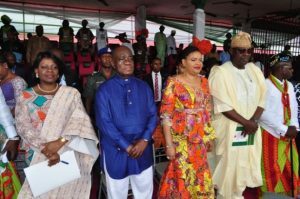 L-R: Mrs. Adesugba, Mr. Frank Ekpo, Mrs. Keshi, and Mr. Adejuwon at the Official Opening Ceremony held on Tuesday 4th October, 2016 at the Uyo Township Stadium Uyo, Akwa-Ibom State. NAFEST 2016 came to a close on Saturday, 8th October, 2016 at 6:00pm. 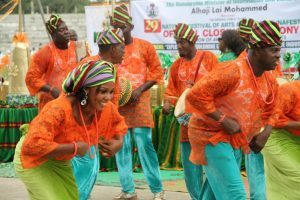 The 30th National Festival of Arts and Culture (NAFEST) 2017 will be hosted by Kaduna State.